Peopled with freaks, clowns, rogue monks, and sexual fantasies; with violence and a distinctly disorienting sense of time…this book is like a dream - a sort of scary dream that you are too intrigued with to wake up from. Contrasting with this dreamlike feeling, the narrator, Jeff Harding, gives a rather practical, straightforward performance. Perhaps this provides essential balance. There's plenty of gore for the gory, eroticism for the romantic, and plot for those who like fast-paced books. This is the fifth novel in the Night Warriors, and while not essential, it is recommended that listeners are familiar with the previous books in the series before tackling this one. The long awaited fifth novel in the Night Warriors series - When a thirteenth century monk was caught having a relationship with a married woman, his punishment was to have his arms and legs amputated. The Monk then turned against God and formed a sinister carnival of clowns and freaks, determined to corrupt everyone who saw them. However, when the pope goes after them, their only escape is into the world of the dreams. Eight hundred years later a serial killer finds a way to realize the carnival again. The Night Warriors are the world’s only hope. Having read the other night warrior books a long time ago, finding this was a welcome surprise. The story does meander a bit in the middle section but overall it was a good listen. Narration was good and voice acted really well. 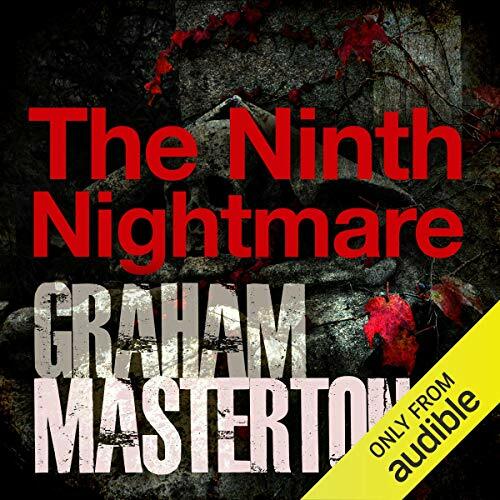 It's not the best Masterton book by a long shot, The Sleepless, The house that Jack built (brown Jenkins also appears in this book), mirror, the doorkeepers and the manitou series are all head and shoulders above The Ninth Nightmare but it's not bad at all. Definitely worth the time. In time. I chose this because of the peerless Jeff Harding's reading. It would be like describing one straw in a too large haystack. The scenes became a bit of a blur after a while. Did The Ninth Nightmare inspire you to do anything? It has all the makings of a fine rich story BUT it's loosely put together with so many disparate elements that tend to drift and drift until interest is lost. I was robbed of sufficient motivation to actually care for the fate of the characters. When I have a spare couple of days I will have another attempt but there are so many excellent offerings from other authors that it could be some time.